The Swedish soprano Maria Bengtsson studied at the University of Music in Freiburg. From 2000 to 2002 she was an ensemble-member of the Volksoper in Vienna, from 2002 to 2007 ensemble-member at the Komische Oper in Berlin, where she sang leading roles under Kirill Petrenko in many of his most important productions. Since 2007 the artist is working freelance. Maria Bengtsson has performed at Teatro di san Carlo Napolo, Royal Opera House Covent Garden in London, the Opera National de Paris, the Staatsoper Unter den Linden in Berlin, the Bavarian State Opera Munich, the Oper Frankfurt, the Opéra National de Bordeaux, the Cologne Opera, the Opéra National de Lyon, the Teatro La Fenice in Venice, the Vlaamse Opera, the Theater an der Wien, the Teatro alla Scala di Milano, the Bolshoi Theater in Moscow, the Vienna State Opera, the Salzburg Festival, the Semper Opera and at the festival of Aix- Provence. Her most important roles are among others Donna Anna and Donna Elvira (Don Giovanni), Fiordiligi (Così fan tutte), Countess (Le nozze di Figaro), Pamina (The Magic Flute) and Ilia (Idomeneo) by Mozart. The title part in Daphne, the title part in Arabella, Countess in Capriccio and Feldmarschallin ( Der Rosenkavalier ) by Richard Strauss. The Governess in Turn of the screw by Benjamin Britten, Cunégonde (Candide) by Leonard Bernstein and the title role of Monteverdi's" L'Incoronazione di Poppea". 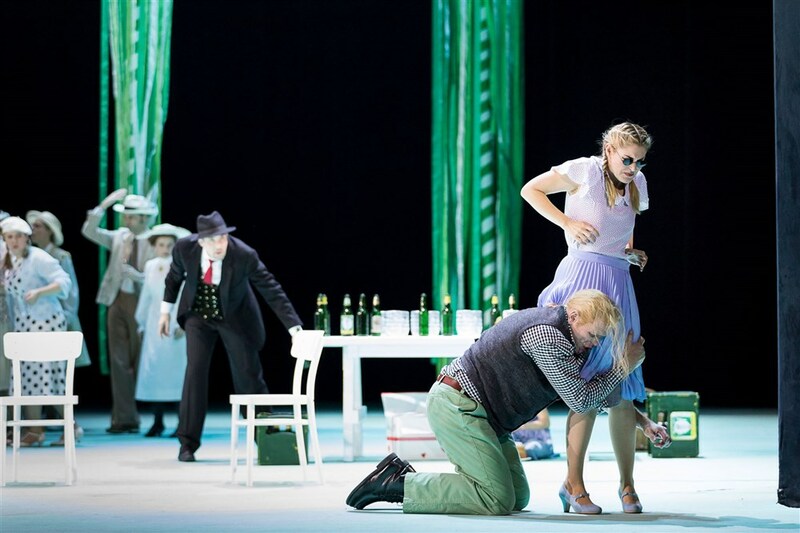 Maria Bengtsson sang the European premiere of "The Great Gatsby" John Harbison as Daisy Buchanan in season 2015/2016 at the Semper Opera in Dresden. As a concert singer and song interpreter she performed among others at the Elbphilharmoniea and the Laeiszhalle in Hamburg, the Philharmonie Berlin, Carinthian Summer in Carinthia, the Berliner Festspiele, the Konzerthaus Wien, the Musikverein Wien, the Gewandhausorchester Leipzig, the Konzerthaus Berlin, the Klangbogenfestival Wien, the Gulbenkian Foundation in Lisbon, the Teatro Nacional de São Carlos in Lisbon and the Alte Oper in Frankfurt. Maria Bengtsson also performed with the Israel Philharmonic Orchestra under Kirill Petrenko in Israel. 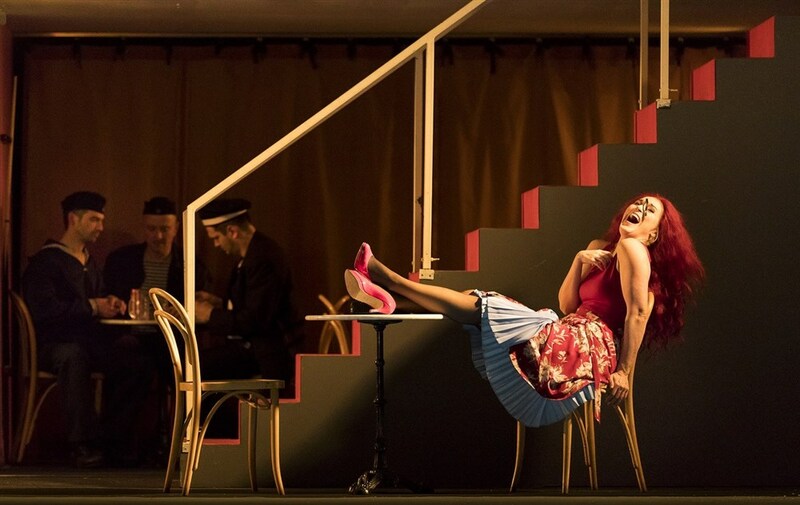 In the current season Maria Bengtsson will sing Fiordiligi in a new production of Cosi fan tutte at the Staatsoper Hamburg, as well as under the baton of Riccardo Muti at the Teatro San Carlo di Napoli. She will appear again at the Staatsoper in Hamburg in Calixto Bieito’s staged version of Verdi’s Messa da Requiem and the Theater an der Wien will also present her in a staged version of Mendelssohn`s Elias. She will appear in the Deutsche Oper Berlin’s world premiere of Detlef Glanert’s opera Oceane. In addition, she will sing Donna Anna in Don Giovanni at Maifestspiele Wiesbaden and the Symphony No.9 at Brucknerhaus Linz.